Porsche's race program lead, Alexander Hitzinger, was allegedly brought on to Apple's "Project Titan" car program in the spring of 2016, a new report reveals. The report, first made by German publication Manager Magazin claims that Hitzinger departed to do something "which has a significant and direct impact on society." Hitzinger's LinkedIn profile confirms his departure from Porsche in March, and notes that he joined a "technology company" in San Francisco in April. From 2006 to 2011 Hitzinger worked as Head of Advanced Technologies for Red Bull Technology. From mid-2006 to mid-2007 he also filled the role of Technical Director of the Scuderia Toro Rosso Formula One team. 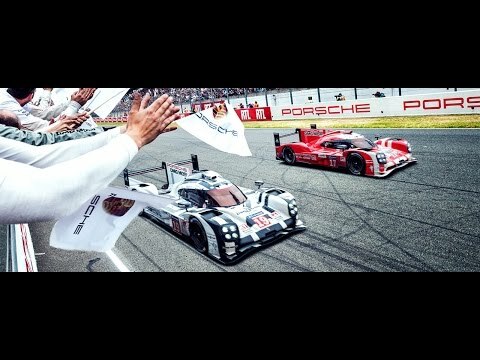 Since 2011, Hitzinger has been Technical Director of the Porsche LMP1 project. While at Porsche, Hitzinger returned the company to endurance racing, and assisted in development of the 919 hybrid sports car. Hitzinger's command led the company to Le Mans and endurance racing world championships in 2015 and 2016. "Project Titan," Apple's car project, was reportedly staffed by more than 1,000 engineers and other personnel working out of top secret labs in Sunnyvale, Calif., some of whom were pulled from other consumer product teams. "Project Titan" also appears to have run into trouble last September when sources said top executives expressed displeasure with the group's slow progress. Subsequent reports indicated the team faced mounting unforeseen obstacles that ultimately culminated in the axing of dozens of employees. According to the most recent rumblings, Apple has pivoted away from a full-fledged self-driving car platform and is now focusing on the development of autonomous vehicle software and supporting hardware. Interestingly, Apple's driverless product, if it ever materializes, might intersect with the company's augmented reality initiative. In October, reports claimed Apple is currently testing AR-based navigation and other autonomous vehicle solutions using virtual reality simulators. Closer to Hitzinger's specialty, officials from Apple met with premium automaker McLaren to discuss a purchase, but the discussions never went as far as a bid, according to McLaren's CEO. Purely on instinct I can tell with a great deal of confidence the stories that Apple have pivoted away from making an actual car are untrue. Why? It makes no sense to develop a self-drive software operating platform for a car without a car to use it on and no car company would give Apple that ability and Apple wouldn't want it. These "stories" are I would say ideal for Apple as it allows them to push on as the press go for these red-herrings—then 2020 is considered early. Every product will have bumps in the road to release, an autonomous electric Apple car would certainly be no exception. Dozens of people from over 1,000 leaves a lot of people remaining (1,050 minus four-dozen is 1,002 people). And we never had proof dozens were fired to begin with. P.S. Whomever re-capitalised the "I" in my username, I thank you. I never bought into them abandoning the project, only making it a higher priority; and thus more obscure and top secret. "While at Porsche, Hitzinger returned the company to endurance racing, and assisted in development of the 919 hybrid sports car. Hitzinger's command led the company to Le Mans and endurance racing world championships in 2015 and 2016." 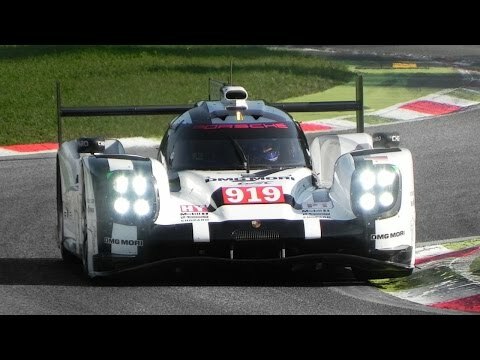 The Porsche 919 is a great car, with both a gasoline engine and an electric motor. I drove one. That is, I drove the 919 at Real Racing 3, on AppleTV. I'll be interesting to see how & when Apple publicly acknowledges this project. Given the need for extensive road-testing of the product in a wide variety of circumstances, I imagine that Apple won't be able to keep it under wraps until the last moment (within months of release) as they do with personal devices. By this time he could have come and gone. Purely on instinct I can tell with a great deal of confidence the stories that Apple have pivoted away from making an actual car are untrue. Why? It makes no sense to develop a self-drive software operating platform for a car to use without a car to use it and no car company would give Apple that ability and Apple wouldn't want it. The stories are I would say ideal for Apple is it allows them to push on as the press go for these red-herrings—then 2020 is considered early. Every product will have bumps in the road to release, an autonomous, electric Apple car would certainly be no exception. Dozens of people from over 1,000 leaves a lot of people doing work. I think you're right. The auto industry is ripe for disruption as Tesla has demonstrated. Battery power and personal supercomputers are Apple's daily bread. What's left are mechanicals that can be bought and or reverse engineered. The watch showed they could go small, the car will show they can go large. Love the sounds of the three downflicks of gears from around 200mph... only 50 metres before most bends! The watch showed they could go small, the car will show they can go large. Apple Campus 2 may not be a car but it's very complex and huge and Apple stores have Apple made leather seats. I think if they do this car they try to go from scratch. I am confused. This man is instrumental in Porsche's current WEC success. The article states the hiring was in Spring 2016. He might be gone again already. C'mon. People don't get hired at senior levels and leave in 6 months. Moreover, his LinkedIn profile is more than likely to show something like that. I guess Apple just wants to double check on hybrid tech. After all, even Nissan is slowly pivoting from its fully electric Leaf and launching series hybrid Note e-Power. As the time passes we will be seeing more and more OEMs showing distrust for batteries as the main driver to sustainable future. However, existing automakers are compelled to try to retain status quo for as long as possible simply because of massive aparatus of dealerships/service centers, which are quite essential to their success. On the other hand, new entrants to the game are quite wary of the old-fashioned way of approach and have a choice of probing other solutions. There is supercapacitors in the offing, followed by transistor tech etc. etc. which can ensure higher capacity as well as ranges of beyond 500 miles. Therefore, if this guy is not acquainted with those two latter techs, won't long stick around. Apple's long term strategy regarding a vehicle or autonomous technology could well be on display before we all might have predicted. With the Spaceship coming on line soon, and with the need for moving many employees, facilities maintenance staff and cargo around, the Corporate headquarters could use a fleet of vans, buses and work vehicles that could easily sport the new tech, in a more controlled environment. This seems like a real nice preliminary rollout opportunity if the tech is far enough along when the new building begins operation. Since Apple likes to make both the software and hardware I'd say they're still on track to produce cars. They may not actually produce the car just like they don't actually produce their other products, but the fact that they're in control of both hardware and software I think is a good thing. Google on the other hand appears to be stepping back from a car and is just trying to shoehorn their stuff into someone else's vehicle. I can see this causing fragmentation already which won't be a good thing. Every race car looks "slow" compared to Formula One. I agree, I never thought the idea of Apple producing a car was dead. I think Apple will go all in and not partner, a'la ROKU w/ another manufacturer. I think the key in this story is the emphasis on hybrid technology. The usual discussion about "self-piloting electric" cars is misleading, because it creates the impression of equal utility and equal feasibility for electric cars and self-piloting cars. That unspoken equality is not deserved. It is not possible now, nor will it be possible anytime soon, to make a good business selling electric cars to Americans. The distances driven here are too great, and the infrastructure for gasoline cars is already in place. Meanwhile, self-piloting features will ultimately add only a few thousand dollars to the price of a car, but will generate far greater benefits to car owners. If a driver's time is worth $24 an hour and the car averages 40 MPH, then a self-piloting feature is worth 60c per mile. Over five years, the driving time will be diverted to other activities worth $36,000 to the car buyer. Other intangible benefits, including fewer accidents and lower insurance rates, will make self-piloting features a huge hit with consumers. So who wouldn't buy a robot-chauffeur for an extra $5000? Under the circumstances, I am not surprised that Apple hired an expert in hybrid power from Porsche. Hybrid is a reasonable compromise, while battery technology is given time to improve. The other thing to keep in mind is that a self-piloting "room" will not need a fast 0-60 time, nor will it need to go around corners fast. A comfortable ride provides the best setting to do something more interesting while in transit. So smaller engines and fairly standard technology may provide 50 MPG or better, when a robot without an ego is behind the wheel. Robot chauffeurs pollute less. I'm not really buying into all this increased productivity while commuting. Perhaps if you own your own company, but most people try to put off thinking of work as long as possible before arriving at the office and quit thinking about work as soon as their shift is over. I've used the commuter trains and buses, even shared limousines and I don't see many people working. Mostly they are playing YouTube, reading ebooks, texting, or listening to music. This whole notion of workers being available 24/7/365 through the Internet needs to end. Employees need their personal time to be healthy and happy. I think you're both right as well. Most of the mechanicals and electronics are bought off the shelf, the key hybrid patents are free from Toyota (for instance), so the software is where you can make a difference. That and some innovation in design and ergonomics. The industry is moving fast and gathering a whole bunch of new entrants (some of whom may not make the cut), so Apple can't be leisurely in their development. I think you're both right as well. Most of the mechanicals and electronics are bought off the shelf, the key hybrid patents are free from Toyota (for instance). There's no way in hell they release a hybrid. Agree. It's in Apple DNA to integrate hardware and software like no one else.